This analysis compares Bolivia's and Venezuela's recent development path and China's impact on it. The two country cases have been chosen due to the fact that they have experienced quite different economic development paths since the international financial crisis in 2008-2009, although they have pursued largely similar economic development strategies and foreign policy strategies. Bolivia has done much better than Venezuela that is now experiencing a chaotic social and economic situation with high levels of inflation and finances out of control. In contrast, Bolivia maintains stable growth figures of between four and five percent and is one of just a small select group of South American commodity exporting countries that is able to pursue counter-cyclical macroeconomic policies. 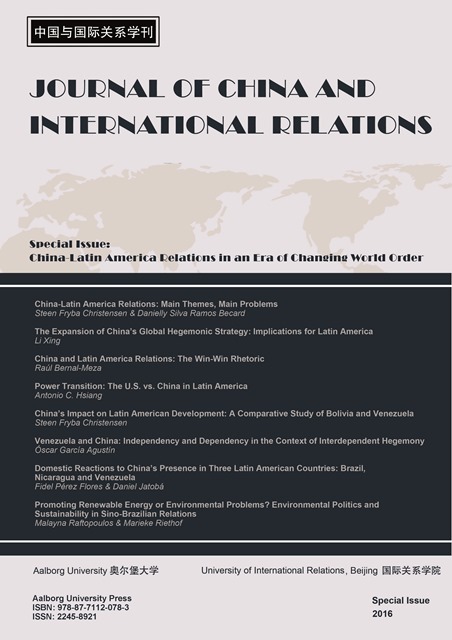 The analysis further argues that China's significance was negligible at the turn of the Century and had become somewhat more significant for Venezuela by 2009, while it was still rather insignificant for Bolivia. Since then, China's significance has grown, particularly in Venezuela that has needed much foreign financing and had been frozen out of international financial markets. However, China has also grown in significance for Bolivia and mostly has had a positive, though, not big impact on its development. In contrast, China's impact on Venezuela has been bigger and mostly positive, but it has not sufficed to end Venezuela’s current development crisis.